Brian Gutekunst vowed to be aggressive in the pursuit of players, and Green Bay’s new general manager appears intent on keeping that promise. 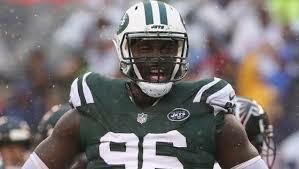 According to reports, the Packers are expected to meet with free agent defensive lineman Muhammad Wilkerson today. The former All-Pro was released by the Jets last week. Not surprisingly, this news has Packers fans excited. But just how excited should they really be when it comes to the 28-year-old Wilkerson? That’s the question I wanted to answer, and it’s why I spent the past few days watching every Jets’ game from last season – not to mention a handful from 2016 (talk about going above and beyond). The good news is that Wilkerson is far from the unmotivated slacker he’s made out to be by his many critics. Does he take plays off? Yes, but you can count on one hand the number of 300-pound defensive linemen who don’t take some downs off from time to time. Heck, revered future Hall of Famer Julius Peppers does that far more often than Wilkerson. What I saw on tape was a seven-year vet who still has the will to take on double teams at the point of attack and who still fights his way through traffic to make a tackle. The two videos below are perfect examples of what Wilkerson would add to the Packers’ run defense. In the first, he holds his ground against 330-pound Carolina guard Daryl Williams and then disengages in time to bring down the running back. In the second, Wilkerson maneuvers his way down the line of scrimmage to corral Jacksonville’s Corey Grant after only a 3-yard gain. I saw these kinds of plays over and over. And while the lanky (6-foot-6) former Temple star will occasionally let offensive linemen push him back by getting underneath his pads, he far more often provides a physical and difficult to dislodge presence against the run. Lining Wilkerson up next to Pro Bowler Mike Daniels and the ascending Kenny Clark will make moving the ball on the ground against Green Bay a challenge for even the best rushing teams in the league. But let’s be honest, stopping the run wasn’t a huge issue for the defense last season. The Packers ranked a respectable 17th in that category. Where the unit failed miserably was in stopping the pass, and unfortunately, I’m not sure how much Wilkerson will help in that area. Based on what I saw on tape, his days as a feared pass rusher may be over. Watching him now, it’s hard to believe he tallied 12 sacks in 2015. 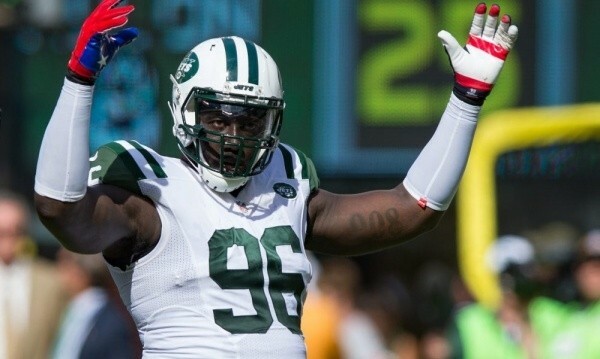 After seven years in the league, Wilkerson no longer has the brute strength to fight his way through double teams or the quickness to split them on a consistent basis. That’s why the majority of his inside rushes resemble the videos below. If he doesn’t make headway on his initial move, he tends to sit back and either disrupt the passing lane with his incredibly long arms or wait to see if the QB eventually comes back to him. Wilkerson is most effective as a pass rusher when lined up wide. He doesn’t have the speed or explosiveness to beat quality tackles, but his size, strength, and quickness are still good enough to give average offensive linemen a headache. Just ask Kansas City’s Eric Fisher (first video below). Wilkerson also had some success the past couple of seasons when slanting, stunting or looping into gaps (second video below). I wasn’t overly impressed by what I saw on tape, but I guess it’s possible that Wilkerson will look like a different player if reunited with defensive coordinator Mike Pettine and placed in a winning environment for the first time in a while. I just wouldn’t gamble big bucks on that happening. And while no general manager is going to give Wilkerson a lucrative long-term deal, he won’t be signing for peanuts either. I could see him getting between $5 million and $7 million a year on a short-term contract. That would be a fairly high price to pay for a player, who to be perfectly honest, wasn’t all that much better than Dean Lowry in 2017. Of course, any conversation about Wilkerson must also touch on his off-the-field problems. He was benched for the final three games of last season due to chronic lateness – something that had been an ongoing problem with the Jets. And after what happened with Martellus Bennett, you’d think the Packers would be very wary of any player with character issues – even one who’s familiar to one of their assistant coaches. 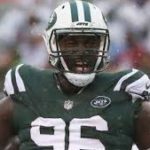 In summation, there’s no question signing Wilkerson would make the defense better. I just don’t think he’d make the defense that much better, and for a team that’s only $15.6 million under the salary cap, Gutekunst is probably better off taking the money he would have to give to Wilkerson and put it toward a starting caliber corner or a receiver who can actually run past a defensive back or even a proven offensive lineman.